Discover the fascinating & rich history of the country of Holland, also known as The Netherlands. 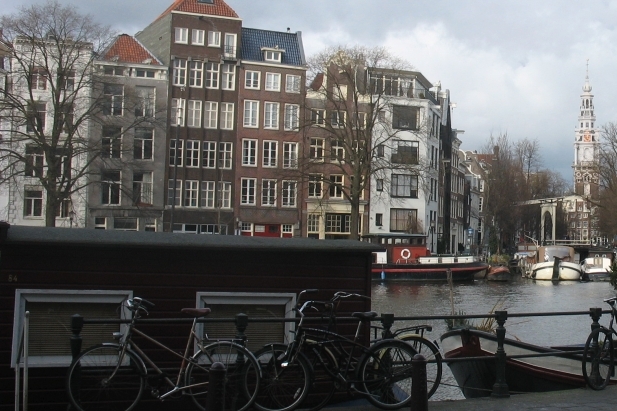 In the 17th century Amsterdam was Europe's wealthiest trading city. The earliest recorded use of the name "Amsterdam" is from a certificate dated 27 October 1275, when the "homines manentes apud Amestelledamme" (people living near Amestelledamme), who had built a bridge with a dam across the Amstel, were exempted from paying a bridge toll by Count Floris V. Amsterdam was granted city rights about the year 1300. 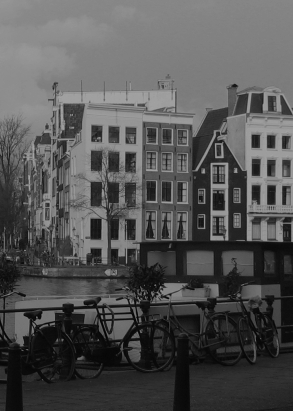 Collect all Amsterdam Treasures Photo Cards! 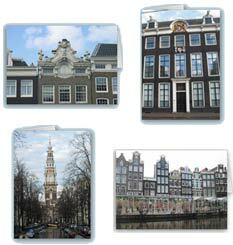 A special edition Amsterdam photo collection by Dutch photographer Jan Peter Krik on Premium High Quality Cards. A real Gift for the real Amsterdam fan. At the junction of the IJ and the Amstel, Gysbrecht II constructed a dam, on which he built his castle. From this "Amstel Dam" the city derives her name. The main Railway Station in Amsterdam. The central square in Amsterdam. Situated on the Dam Square in the centre of Amsterdam. The old Orphanage Gate in Amsterdam, entrance to the former orphanage. The church dates 1306 and is situated on the Oude Zijds Voorburgwal canal in "de Wallen" area, Amsterdam's red-light district. Near the Spui at the end of the Kalverstraat is a little turning on the west leading into the Begijnenhof (Beguines' Court). Close to the Jordaan area in Amsterdam is the Westerkerk, a church dating from 1620. A Dutch gable stone on the old house of 17th century naval hero Admiral Michiel de Ruyter in Amsterdam. The house in which Rembrandt spend the happiest and most succesful years of his life from 1639 to 1659. Today it is open to the public as a museum. 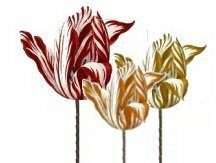 The text of the great Dutch song "Tulpen uit Amsterdam", "Tulips from Amsterdam". An old Dutch etching depicting the Amsterdam banking and loan crisis of the year 1763. More than 30 banks and trade houses went bankrupt.